Climate Week 2017 Official Event | Offshore Wind In New York: What's Next? Offshore Wind is a great opportunity, let's capitalize on it. I. Why Do We Need to Add Offshore Wind Power to our Mix of Renewables? Third, the Statoil lease, consummated in December 2016, just prior to the end of the Obama Administration. Where are the world's GHG emissions headed and why does it matter? 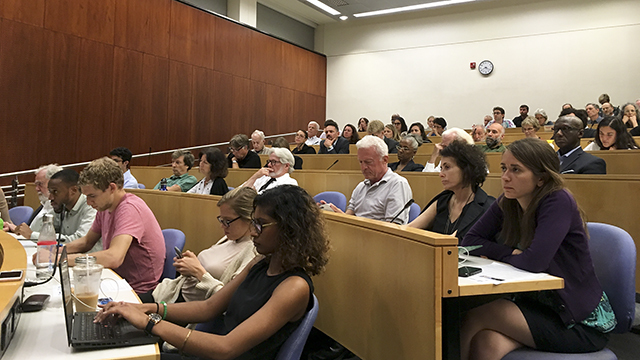 In his keynote remarks, Professor Michael Gerrard underscored our climate and energy reality — as the Trump Administration waffles between "modifying" the Paris Climate Accord and pulling out of it altogether, the fact remains — to stay within the Accord's consensus of less than a 2℃ increase above pre-industrial levels, global net greenhouse gas (GHG) emissions must be negative in the first half of the 21st century. This requires a drastic shift away from fossil fuel usage. Today, with only one offshore wind facility operational in the United States (the Block Island wind farm), Gerrard clarified the country's relative global position in installed capacity of offshore wind: the United States is orders of magnitude behind the rest of the world. In 2009, the US pledged in Copenhagen to bring emissions levels down 17% below 2005 levels by 2020, and 26–28% by 2025. Prior to the 2016 election, even under "best case scenarios," the US was not on track to meet its minimum 2025 goal of 26%. Since President Trump's announcement of his intention to rescind the Clean Power Plan, we are now even farther away from meeting our pledges as a country. The projected consequences of not meeting these pledges mean temperatures in much of the country could rise as much as 15℉ above current conditions, threatening water supplies, agriculture, and the health and well-being of those without consistent access to air conditioning. New York State is predicting sea-level rise scenarios of anywhere from 15"–72" by 2100, and national average annual precipitation is forecasted to rise as much as 60%. Given that 80% of US GHG emissions come from the combustion of fossil fuels, Gerard underscored, "our main objective should be decarbonization." Of the three pillars of deep decarbonization — increased energy efficiency, decarbonization of the electricity supply, and the switch of end-use fuel to electricity (i.e. switching conventional vehicles to electric vehicles), the latter two are where renewable energy plays the largest role. Furthermore, Gerrard emphasized that successfully switching all sources of end-use fuel will double the need for electricity. Therefore, not only does the renewable energy industry have the sizable task of meeting current electricity demand, but it will have the even larger task of meeting the increased electricity demand that will inevitably result from deep decarbonization of today's energy supply. But can deep decarbonization be accomplished? 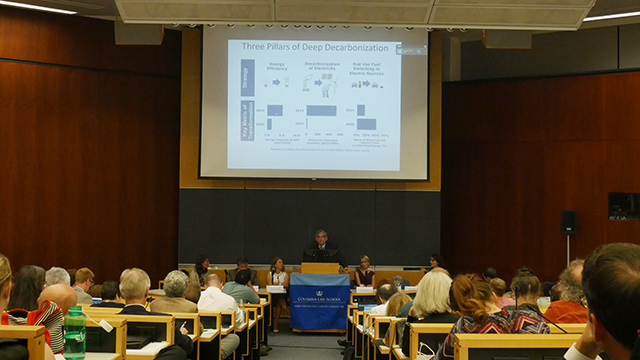 The Deep Decarbonization Pathways Project (DDPP) says yes. Developed by the Institute for Sustainable Development and International Relations, the DDPP is "a global collaboration of energy research teams charting practical pathways to deeply reducing greenhouse gas emissions." DDPP's moderate, mixed-case scenario suggests that, to effectively and drastically reduce GHG emissions in the US, sizeable increases in renewable energy installations will be necessary within the next 33 years: this translated into 186,802 MW of onshore wind, 725,382 MW of offshore wind, and 488,539 MW of solar PV. To put this in context, consider Cape Wind, a 468 MW proposed offshore wind farm that was to be located off the coast of Massachusetts (first brought up in 2001, it died circa 2016.) Under DDPP's mixed-case scenario, the US would need to add 4 "Cape Winds" in 2025, 17 in 2035, and 37 in 2045. With Cape Wind's preliminary assessment spanning 15-years, Gerrard commented, "Obviously, our current system of permitting and environmental review won't get us there." Summarizing his keynote presentation in one statement, he succinctly concluded, "In order to meet our climate objectives, we need an utterly massive increase in the amount of renewable energy capacity in the United States... one very important part of that... is offshore wind." II. Why Does Offshore Wind Make Sense in New York? It's no secret that Europe is significantly ahead of the US in terms of offshore wind development and installation. Why is that? Lars Andreas Sunde, Statoil USA Head of Project Development for the NY Windfarm Project cited the years of experience behind the European offshore wind industry — it has had a decade to refine the technology, specialize equipment, cut costs, and incentivize development. NYSERDA Director of Large Scale Renewables, Doreen Harris, and Kit Kennedy, Director of the Energy and Transportation Program for the NRDC both agreed: costs have plummeted 50% and have made prices "strikingly low," as low as $0.07/kWh (including transmission), and ($0.05) for transmission alone. What has led to this drastic decrease in costs? In part, significant advancements in technology including larger turbines, specific construction and transportation processes, and improved energy storage potential, all of which Sunde cited while describing Statoil's offshore wind portfolio. In 2009, Statoil installed a demonstration project, Project Hywind, now successfully operational for eight years. As the world's first floating wind farm project, it was an important innovation for offshore areas where the water depth prohibit fixed installations. The larger Hywind Pilot Park, the first of its type, is currently in its commissioning phase, and soon to be operational. Moreover, Statoil is ready to start a prototype of battery storage. Through decades of work is in oil and gas exploration and extraction, Sunde explains how Statoil has leveraged its offshore experience to become an innovator in the offshore wind industry. The company is used to billion-dollar projects, working in harsh environments (marine and otherwise), and its teams know how to navigate the environmental impact reports and other such documentation required for projects. Sunde was explicit in noting Statoil sees this as its future and its CEO has announced a pledge of 15–20% capital investment in renewable projects by 2030. After clearing the hurdles of technology and cost competitiveness, the potential benefit of offshore wind becomes increasingly evident. Harris described NYSERDA's excitement over the potential growth that New York's workforce will experience by focusing on this industry — from port operations, to supply chain management, turbine assembly, as well as the operation and maintenance of projects. 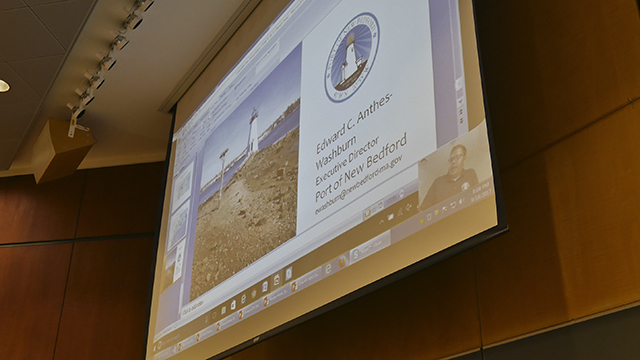 Moreover, Sunde, Kennedy, and Edward Anthes-Washburn, Executive Director of the Port of New Bedford, all explained how wind turbine have seen to act as artificial reefs that attract fish and other marine wildlife. Recreational fishing has been shown to increase around these areas! In 2015, Governor Cuomo set the aggressive target of an 80% reduction in GHG emissions by 2050, and earlier in 2017, according to Harris, the Governor also committed to installing up to 2.4 GW of offshore wind by 2030; this is the largest commitment to offshore wind in the nation. Indeed, given the characteristics of downstate New York (an energy-hungry population, a windy ocean environment, shallow coastal depths, and offshore wind generation that coincides with peak demand in the afternoon), Anne Reynolds, Executive Director of the Alliance for Clean Energy NY, commented it would be more difficult to meet Governor Cuomo's 2050 emissions goals without an increase in the installed capacity of offshore wind. This could prove to be a crucial factor in the advancement of offshore wind projects. To aid in this advancement, NYSERDA is developing an Offshore Wind Master Plan (to be finalized by year-end.) This Plan has the dual goals of developing offshore wind responsibly and cost-effectively. Relying on community and stakeholder engagement, as well as environmental, social, regulatory, infrastructure, and economic-related studies (over 20 studies and surveys have been initiated to help gather information), there are three key objectives to the Master Plan: identification of additional sites for development, definition of the rules of operation for New York State, and an analysis of how New York can support offshore wind economically. Along with this, Reynolds emphasized the need for standardized procurement, financing, and "off-take mechanisms" (these are agreements allowing individuals and/or entities to purchase the power generated from the project). Promotion and education of offshore wind is also important; NYSERDA hopes to circumvent the NIMBY ("Not In My Backyard") morass by having projects sited such that they're not visible from the coast. 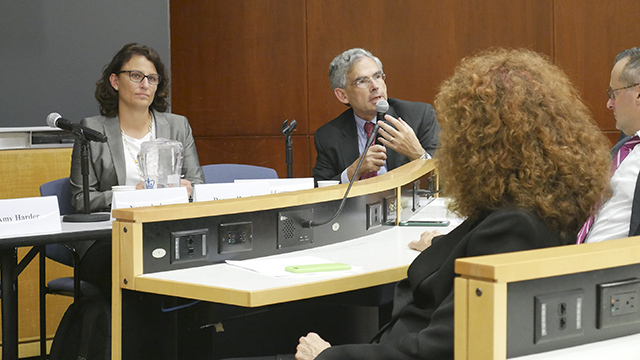 As with all renewable energy drives and climate action goals, Harris noted, effects of local, state, and federal policy, and the reactions of existing electric utilities will powerfully shape New York's energy future and transmitting energy from an offshore wind project and its interconnection into the grid is a challenge that must be addressed. Moreover, the construction of offshore wind farms requires intimate cooperation between federal and state departments — notably, between the Department of the Interior Bureau of Ocean Energy Management (BOEM), and the Intergovernmental Task Forces it has established in interested states (14 have been established to-date.) While Task Forces are assigned the tasks of identification of appropriate project sites, assessments of potential problems, and applicable suggestions towards resolution, the BOEM is the primary agency responsible for review and authorization. Sunde made the same point: the two stages at which a proposed project undergoes BOEM review occur immediately after the lessee submits (1) a site assessment plan and (2) a construction and operations plan. Complex environmental studies and technical details are necessary for thorough analysis and, ultimately, project approval by the BOEM. It is also important to understand that offshore wind projects impact multiple industries, such as commercial fishing, open-water recreation and shipping. 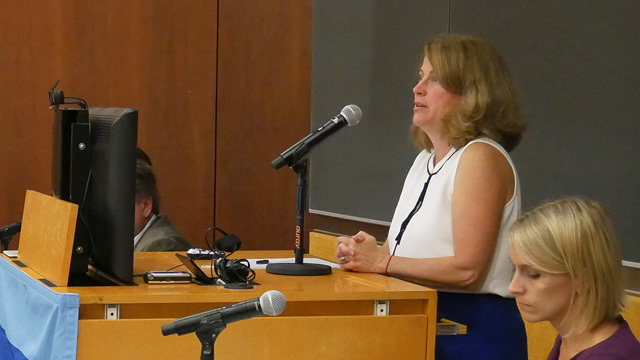 Anthes-Washburn emphasized the importance of bringing major stakeholders to the table early in the process to help offshore wind grow properly and without misunderstanding or resentment. For example, in an area such as the Port of New Bedford, Massachusetts, the nation's number one fishing port by value, it is essential to acknowledge that the fishing industry is a huge part of the social, political, economic, and cultural identity of the people, and anything seen as potentially detrimental to that industry would be unlikely to elicit community support. Subsequently, thoughtful planning and engagement between all involved should be a priority. As states continue to lead the charge, what to expect from the federal government? New York is not the only state leading the way on offshore wind. Maryland has 368MW offshore wind project in contract. These four states have already made strides toward increasing aggregate US installed capacity of offshore wind, and now other states, most notably North Carolina and New Jersey, have indicated their interest in this low carbon energy option. 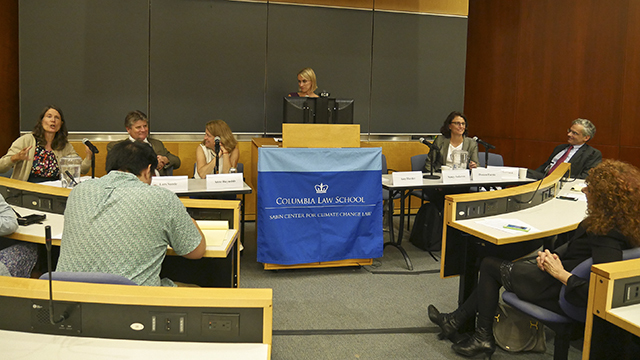 Even with states leading the charge, our speakers said, regardless of its positions on climate change, the current federal administration might not be an opponent of offshore wind! In fact, when asked whether the Trump Administration would have a net positive, neutral, or negative impact on offshore wind, not one of our panelists answered, "negative." The typical response was neutral, with Kennedy being cautiously optimistic for a positive stance. The uncertainty of Trump's support notwithstanding, Kennedy explained the reason she is optimistic about the offshore wind industry: ubiquitous support spanning a variety of stakeholders and industries that rarely seem to agree on any one thing. Across-the-aisle political leadership, environmental communities, labor, local officials, and local business organizations all largely support offshore wind and agree it can bring numerous benefits to communities and the US's energy mix. Her positive thinking was contagious; "In a world where there's a lot of 'NIMBYism,' it's really heartening to see communities coming together and saying, 'yes' to a renewable energy technology." IV. Where Does This Leave Us Now and Tomorrow? Today, implementing system-wide changes to our energy grid is a veritable race against the global climate change clock. 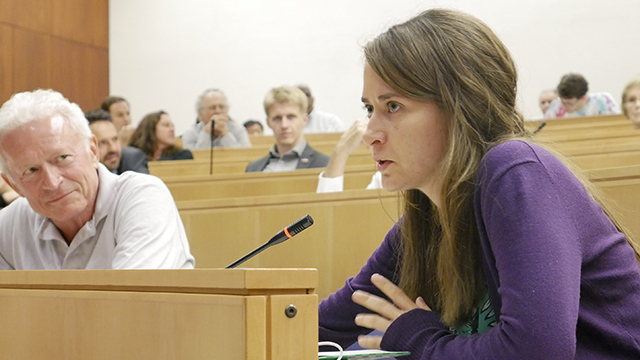 A member of the audience captured the overwhelming sense of urgency many people are feeling: "How can concerned citizens and activists help to speed up this process of offshore wind?" In her answer, Harris acknowledged that offshore wind is a multi-year process, while emphasizing it is a multi-year process happening now. It doesn't always need to take years. 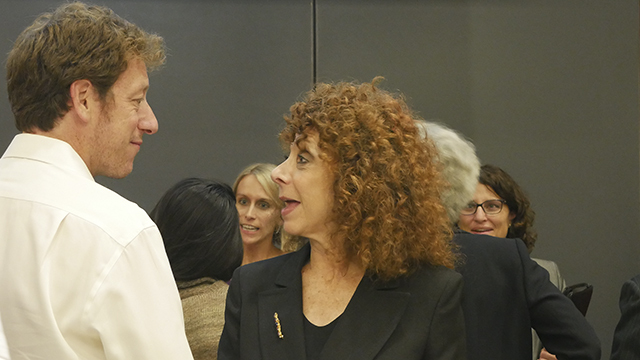 Both she and Reynolds agreed that public input is a key element to obtain support for advancing renewable energy projects. Additionally, Kennedy cited a variety of groups who support offshore wind for those who may find strength in numbers. Whether looking at the experts' lower bound prediction of 20, or upper bound prediction of 100, there is clearly work to be done. From the atmosphere of this presentation, there are people motivated to do it! Unless otherwise mentioned, all emissions reduction goals use the baseline of relative 2005 emissions. Shruti Nayar began her career at Green Street Power Partners in residential project management, and has since progressed to Senior Analyst and Salesforce Director. At Green Street, Shruti focuses on financial modeling, financial analysis, and industry trends. Shruti acquired her undergraduate degree from the University of Rochester, where she dual-majored in Economics and Environmental Studies, researched under faculty members of the University Council on Sustainability, and danced on the University of Rochester Bhangra team. She also holds an Advanced Diploma in Energy Finance from NYU, and serves on the board of NYC's Young Professionals in Energy. 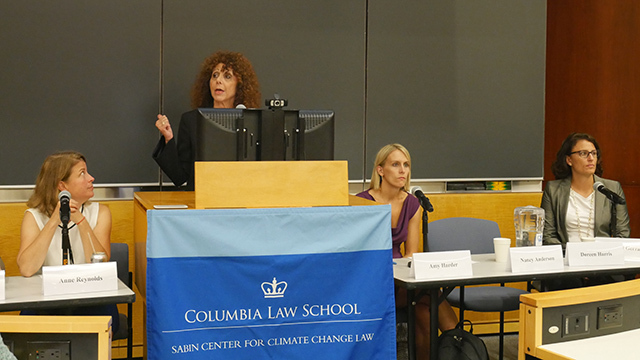 By providing an international platform for government, business and civil society to work together on low carbon solutions, CWNYC once again showed the world that organizations and individuals can play a pivotal role in advancing the debate, driving awareness, and keeping climate action at the top of the global agenda. 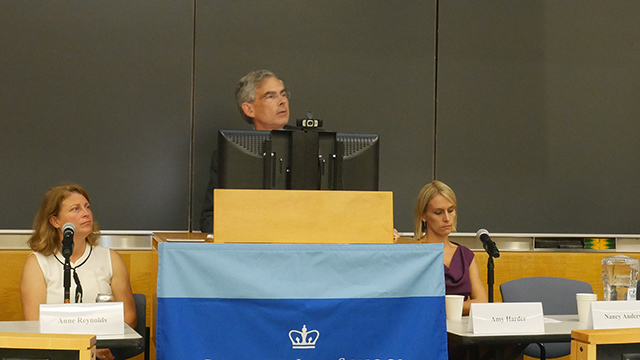 Missed our 18 September event — Offshore Wind in NY: What's Next? Watch it now. 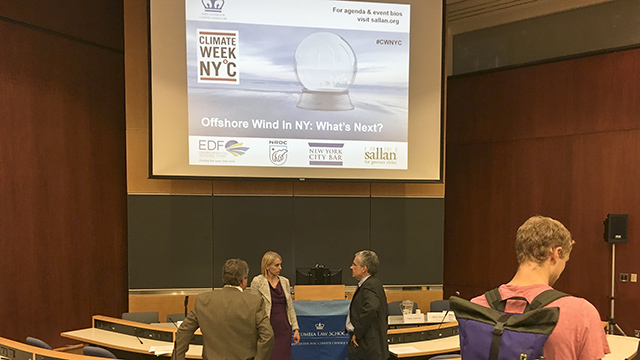 Official CWNYC 2017 Event Offshore Wind In New York: What's Next? brought together industry leaders, advocates, policy makers and project opponents before a standing room only crowd to examine leading edge developments and prospects for the northeast. As the cost of producing wind turbines has plunged 35% over the last decade, public policies in coastal states like New York have made a commitment to advancing clean energy sources like offshore wind and industry is stepping up with money and know-how. At the same time, federal energy policy has veered sharply toward fossil fuels. The challenge of siting offshore wind farms in light of concerns raised by the Atlantic coast fishing industry and localities that rely on it cannot not be ignored. 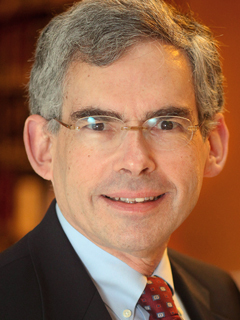 Michael B. Gerrard is Andrew Sabin Professor of Professional Practice at Columbia Law School, where he teaches courses on environmental and energy law and directs the Sabin Center for Climate Change Law. He is also Chair of the Faculty of Columbia's Earth Institute. Before joining the Columbia faculty in January 2009, he was partner in charge of the 110-lawyer New York office of Arnold & Porter LLP. 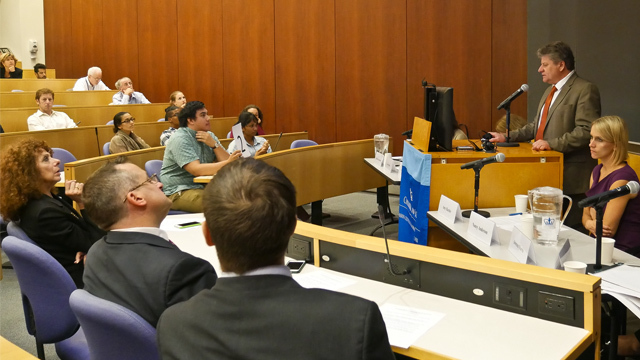 He practiced environmental law in New York City full time from 1979 to 2008 and tried numerous cases and argued many appeals in federal and state courts and administrative tribunals. He formerly chaired the American Bar Association's 10,000-member Section of Environment, Energy and Resources. He has served as a member of the executive committees of the boards of the Environmental Law Institute and the American College of Environmental Lawyers. Gerrard is author or editor of eleven books, two of which were named Best Law Book of the Year by the Association of American Publishers. 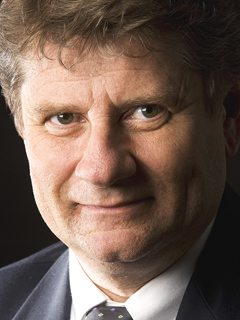 His most recent book is Global Climate Change and U.S. Law (with Jody Freeman) (2d ed. 2014). Amy Harder covers energy and climate change for Axios, and writes a weekly column called Harder Line. In her column and elsewhere, she reports on trends and exclusive scoops, while also analyzing the news driving the nation's debate about energy and climate. Her coverage includes congressional legislation, regulations, lobbying, and international policy actions affecting the United States. Previously, she covered similar issues for The Wall Street Journal, based out of its Washington, D.C., bureau. She is regularly sought out to speak and participate in energy events, including moderating and participating in panel discussions and giving speeches in Washington and throughout the country. She has appeared on CSPAN, MSNBC, the Charlie Rose Show and NPR, among other media outlets. 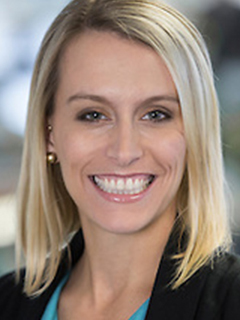 Earlier in her career, she also covered energy and other issues for National Journal, based in Washington, D.C. She is originally from Washington State and received a B.A. in journalism with honors from Western Washington University. 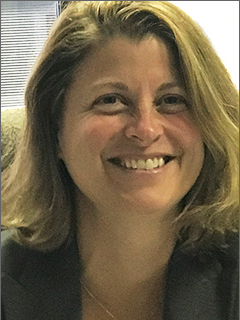 Doreen Harris is the Director of the Large-Scale Renewables team at the New York State Energy Research & Development Authority (NYSERDA). 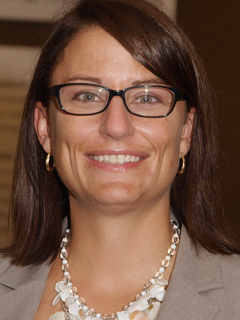 Ms. Harris is responsible for managing the centralized long term procurement of utility-scale renewable resources in New York under the Clean Energy Standard as well as oversight of future policy design, program rules, and market development mechanisms, including NYSERDA's interactions with New York's obligated Load Serving Entities. 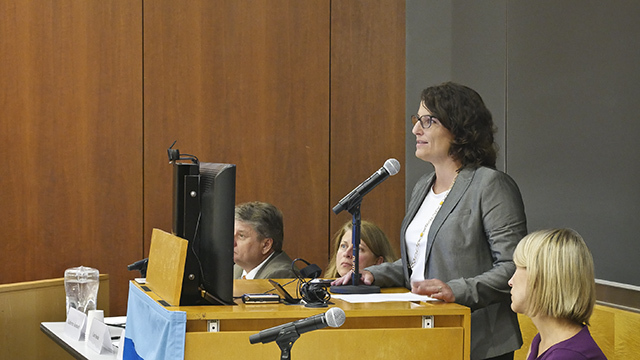 Ms. Harris leads a strategic effort to spur responsible and cost effective development of New York's Offshore Wind resource through the execution of New York's Offshore Wind Master Plan and its integration into the Clean Energy Standard. Ms. Harris is also responsible for driving the Clean Energy Standard's strategic execution with New York's energy markets, including the ongoing operation and enhancement of the New York Generation Attribute Tracking System. Ms. Harris received a Bachelor of Science in Chemical Engineering from the University of Rochester and a Master of Business Administration from the University at Albany. Lars Andreas Sunde is Head of Project Development for the NY Wind Farm Project, Statoil USA has been with Statoil for 34 years. He has held VP and management positions in all areas of the value chain from exploration to field development, project execution, international E&P activities, business development, gas sales. He has headed up Statoil's offices in Canada, Alaska and Brazil and worked 11 years in international postings in US (FL,TX,AK), UK, Canada and Brazil. The last few years he has been managing major offshore development projects within oil and gas and renewables. Mr. Sunde has a Masters Degree in Engineering from the Norwegian Institute of Technology. 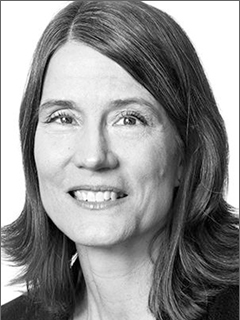 Anne Reynolds is the Executive Director of the Alliance for Clean Energy New York (ACE NY), an Albany-based nonprofit organization formed in 2006 to promote clean and renewable energy and energy efficiency. Ms. Reynolds has over 20 years of experience in the energy and environmental arena. Most recently she served as a Deputy Commissioner at the New York State Department of Environmental Conservation (DEC), in the role of chief financial and operations officer. At DEC she previously served as Assistant Commissioner for Policy and Planning, which included legislative affairs, and the Director of the Commissioner's Policy Office. 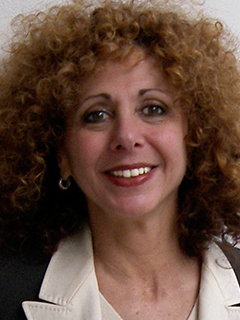 Previously, Ms. Reynolds was the Director of the Air and Energy Program at Environmental Advocates of New York, and successfully lobbied for the establishment of New York's Renewable Portfolio Standard, investments in renewable energy and energy efficiency, and the creation of the Regional Greenhouse Gas Initiative. She has consulted to the wind energy industry, and coordinated a Wind Power Education Project at Pace Energy and Climate Center. She has also held the positions of Environmental Scientist at the U.S. Environmental Protection Agency and Associate Scientist at the Tellus Institute for Energy and Environmental Strategies. Ms. Reynolds holds a Master of Environmental Studies from Yale University and a BS in Biology and Environmental Studies from Tufts University. Kit Kennedy Director, Energy & Transportation Program, Natural Resources Defense Counsel, oversees many NRDC projects relating to energy efficiency, renewable energy, and global-warming solutions. 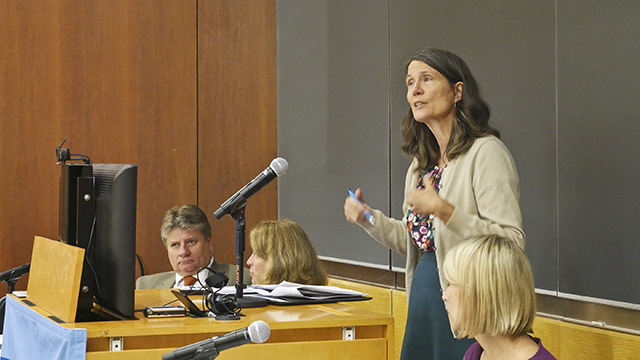 She serves on the board of the New York League of Conservation Voters Education Fund, and from 2009 to 2013, she was the Timothy B. Atkeson Clinical Visiting Environmental Lecturer in Law at Yale Law School, where she directed the Yale Environmental Protection Clinic. From 2007 to 2010, she served as Special Deputy Attorney General for Environmental Protection in the Office of the New York State Attorney General, where she directed the Environmental Protection Bureau. She is a graduate of Harvard Law School and Harvard College. She is based in New York City. Edward C. Anthes-Washburn serves as the Port Director and Executive Director of the Port of New Bedford, MA, the nation's #1 fishing port by value. Before becoming the Executive Director in 2015, Ed served as the Deputy Port Director and Director of Operations dating back to 2010. Since 2016, Ed has served as the Chairman of the American Association of Port Authorities' (AAPA) Maritime Economic Development Committee and is the Secretary of the Port Council of the Steamship Authority since 2011. 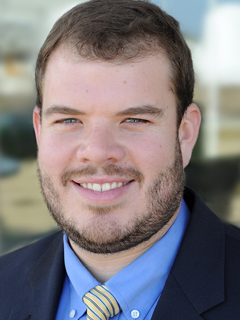 Ed is also a Research Fellow and Board Member at the Institute for Global Maritime Studies and is a Strategic Advisor to IoT Impact LABS and a non-profit startup called Blue Water Metrics. He received a B.S. in Urban Studies from Cornell University and a M.S. in Public Affairs from the University of Massachusetts Boston. Ed lives in New Bedford with his wife Pamela, son Charlie and dog Garth, where he spends his free time hiking, skiing, fishing, kayaking and developing New England-style barbeque, a New England clambake combined with southern barbeque.